Envision takes pride in being one of the top security providers for home and business in the industry. A simple, elegant design and custom functionality to meet the Client’s need. 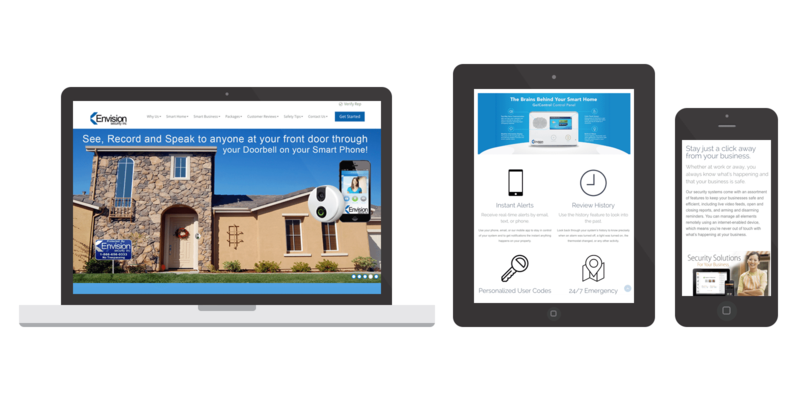 Envision Security, a leader in home security systems, approached Spark Logix Studios hoping to have their site updated. They felt their site was old and out of date, and wanted some sleeker and more modern. They also wanted the ability for potential buyers to come to the website, and using the Representative’s information, verify that they are an employee of the company. Spark Logix Studios created a Custom Post Type, and combined that with a restricted content search algorithm, so that users are able to quickly and easily pull up their Rep’s information, without allowing competitors to find the representative’s contact information to steal the Client’s employees. Through the power of WordPress, Spark Logix Studios can make any functionality, no matter how unique or custom it might be, a reality!